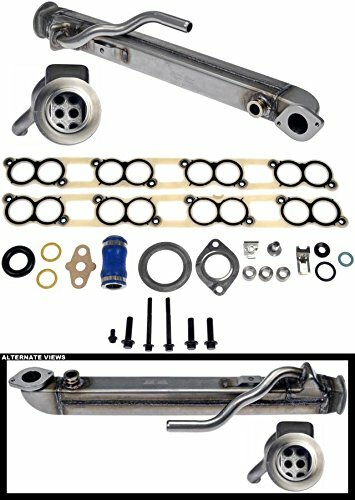 In this guide, I wanted to cover an issue that many 6.0 and 7.3 powerstroke owners have run into, Injector stiction. Stiction is unfortunately a very common problem with the fuel delivery system that these powerstrokes use, and can lead to serious issues with hard starts, rough idling, misfires and terrible overall driveability. The 6.0 and 7.3 Powerstrokes use hydraulically actuated electronically controlled unit injector (or HEUI) injectors. Contrary to most modern common rail systems, the HEUI is now an outdated system that was introduced by Caterpillar way back in the 90’s. Instead of using a high pressure injection pump to pressurize the fuel in the injector body (like you’ll find in newer diesels) the HEUI system uses oil that has been pressurized very highly, sent directly into the injectors, to create the required fuel pressure. 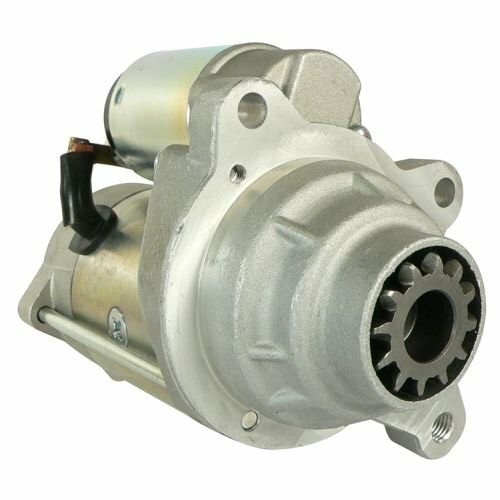 Basically, the oil pump pressurizes some of the engine oil, sends it to the HEUI system, which opens or closes a spool valve inside the injector, allowing the oil to push on the intensifier piston. This piston then converts the oil pressure into fuel pressure, and from there the fuel is injected into the cylinder at up to 4000psi. The problem happens when the spool valve either has oil residue on it and becomes stuck, or when the engine oil becomes foamy to the point where the foam is creating a false injector pressure. The bad part about this system is that it is affected by low quality fuel and oil, which is all too common and hard to avoid nowadays. Oil residue and foamy oil in the spool valve is the main issue with the HEUI system, and the best way to keep your injectors flowing well is to use an additive to clean them preventatively. Frequent oil changes are very important for your Powerstroke, remember that the injectors need oil pressure in order to operate and changing and checking your oil is the best way to ensure that the injector system stays operational and in good working condition. The pressure that the HEUI system operates on the oil side can be greater than 3000 psi, which is just terrible for the longevity of your oil, it breaks down the molecules much faster and creates foam. Another good reason to stay on top of your oil changes. 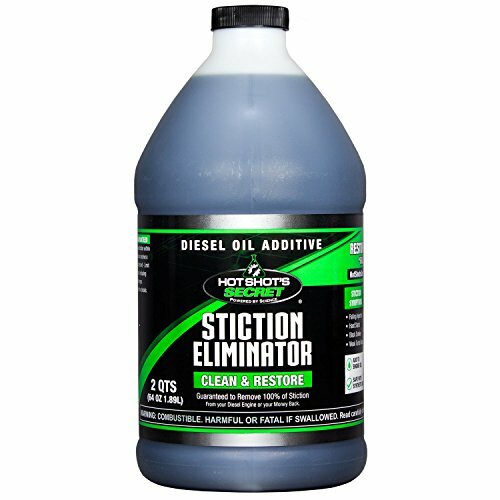 There are a few additives out there that claim to fix stiction issues on the powerstroke injectors. Below I’ll cover a few of the most popular ones, and how well they work. I’ve heard the most positive reviews on Rev-x out of all three of these additives. 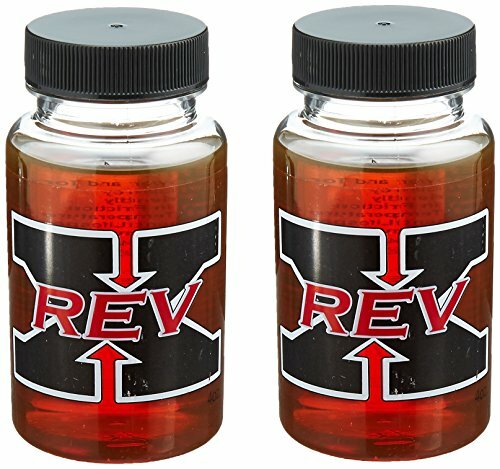 Some people claim that it solved their stiction issues within the first few hundred miles of driving, after adding a couple of these bottles of Rev-x to their truck after an oil change. Because of the reviews I’ve read about success with this stuff bringing low performing injectors back to life, if a contribution code were to pop up on my truck I would start my troubleshooting with some fresh oil and a couple bottles of this stuff. 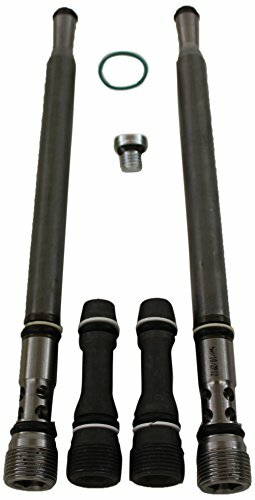 Fixes 6.0 and 7.3L PowerStroke Cold Start Injector Problems. 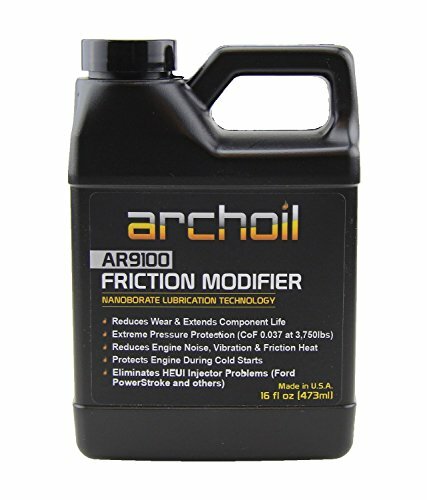 This friction modifier made by Archoil seems to be pretty much just as good as rev-x, and it costs less (per oz) too, which is why this is the stuff that I use on every oil change with my 6.0 already. I don’t currently have any symptoms of stiction, like any hard start or rough idle issues with my truck (knock on wood) but I have seemed to notice a bit smoother acceleration since I’ve started incorporating it into my maintenance routine. Hot Shot's Secret HSS64Z Stiction Eliminator - 64 fl. oz. Hotshot’s secret gets many people saying good things about it as well, a lot of people happy with it fixing their stiction issues. It’s cost is very cheap compared to the other options, and if I weren’t already happy with what Archoil does for me, I would probably give it a shot. You really can’t go wrong with trying any of these friction modifiers really, they are all designed to do the same thing basically. If I had an OBD code staring me in the face, I’d start with the Rev-x, as that seems to have the most success with tough cases. For preventative maintenance though, I’d pick one of the other two, just because of cost. With the very intense pressures of the oil injector system, your oil is subjected to much more wear and tear than in a regular engine because of shear. Shear is a way to measure the effects that mechanical stress has on your oil. Being under huge loads like in a diesel injector system reduces the effective viscosity of the oil by a large factor. This reduction of viscosity means that the oil is much more quickly thinned out in a diesel than a gasoline vehicle, and because of this it ends up being much less effective at lubricating. In fact, the industry standard test for oil shear by ASTM International (D5275) actually involves running through a high pressure diesel injection system like in a powerstroke, and then comparing the viscosity to fresh oil. So now that you know how important frequent oil changes are, let’s go over how to choose the best oil to run in your truck to prevent all of the nasty side effects of stiction. The most important thing to consider when shopping for diesel oil is the additives that they use to protect against shear. Below is a comparison of what I believe to be the best choice for oil in diesel engines that use a high pressure oil fuel delivery system. Let me start by saying that these two oils are the only kinds that I would ever consider running in my truck. It’s so much more important for these high pressure injector systems to have the right additives in the oil to prolong the inevitable thinning, and regular old wal-mart or whatever oil just won’t cut it. Rotella T6 is the primary choice here, the additive profile of this oil is top notch, which ensures that it will be a very good choice for diesels that use a HEUI system. Shell Rotella T Triple Protection Oils provide triple action to help control wear, deposits and emissions to continuously adapt to the needs of your engine for protection in on- and off- highway applications. 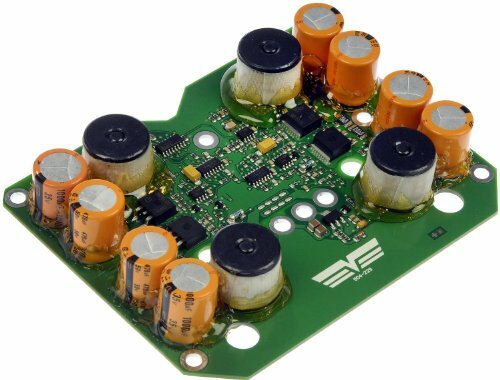 It meets or exceeds API CJ-4 requirements, and is designed to provide extra performance. 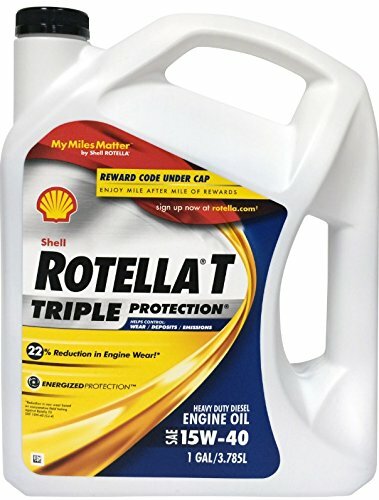 Shell Rotella T Triple Protection performs well in both older and new engines. Triple Protection technology builds on the traditional strengths of wear protection and engine cleanliness in Shell Rotella T, but it also protects diesel particulate filters (DPFs) against buildup of harmful deposits. And it provides outstanding viscosity control with exceptional product durability. This technology has been proven in over 50 million miles of durability testing. 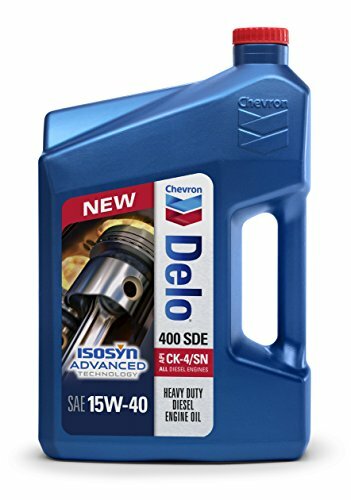 That being said, Delo 400LE is also a great choice that is much more cost effective. The only caveat to the Delo oil is that it designed for the newer trucks because it was formulated to meet emissions specs for ’07 and up. Sometimes, using an additive or changing the oil won’t be enough to clean off the oil residue that is clinging to the spool valves inside your injectors. 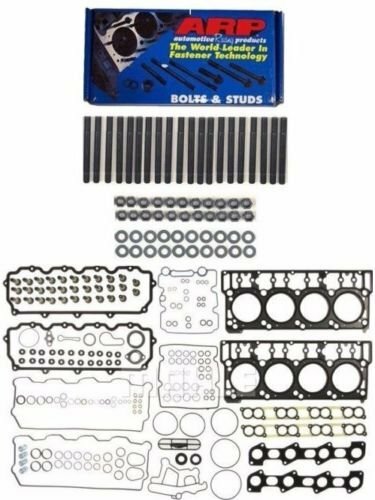 In this scenario, you’re going to need to either replace the injectors, or pull them and clean the spool valves by hand. So, what if you’ve already thrown the book at your Powerstroke by changing the oil, trying one of the additives, and manually cleaning the spool valves in the injectors – but nothing has helped? 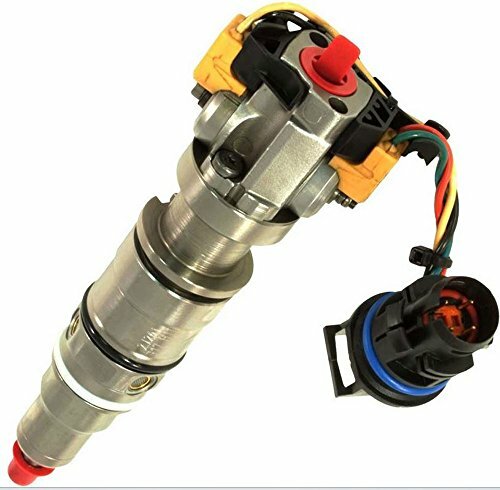 More than likely you’re going to have to go with remanufactured injectors like the one below, in order to fix the problem if none of the above has resolved it for you. Stiction rears its ugly head in the form of misfires on cold starts, rough and uneven idle, and hesitation when accelerating. These symptoms can continue even when the engine has warmed up fully. *Acronym Translation: OBD = On Board Diagnostics and DTC = Diagnostic Trouble Codes. The spool valves in the injectors operate when they receive a signal from the FICM (fuel injection control module.) It stands to reason, if your FICM is not operating correctly then you will get symptoms of stiction, the spool valves will act similarly to being clogged up if they aren’t receiving the correct signal from the FICM. Aside from adding a stiction prevention additive, the other first step in troubleshooting a rough running powerstroke, is to test the FICM for the correct voltages. Check out the FICM repair guide for instructions on how to perform that test. Welcome to our fuel tank roundup! This guide is here to help you figure out what kind of tank your truck needs, whether you need an auxiliary tank for extending your range, a transfer tank for filling your equipment in the field or just a larger capacity factory replacement fuel tank. Transfer tanks are a remote fueling solution, they are a must-have for your truck if you are running any kind of equipment out in the field, as they keep you from the major inconvenience of having to trailer your equipment to the closest fuel station to fill up. 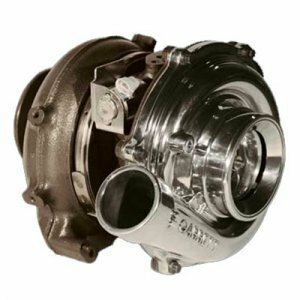 Auxiliary tanks are a way of extending the range of your truck, by adding another tank that feeds into your truck’s factory tank, you can massively increase fuel capacity. 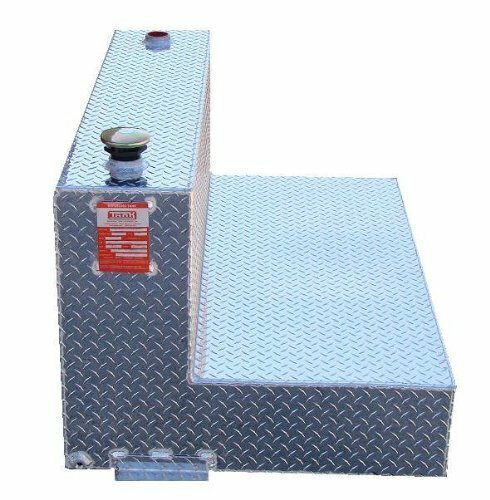 Higher-capacity tanks are a replacement for your trucks factory tank, these aftermarket tanks take advantage of unused space under the bed of your truck to raise capacity and extend your driving range. 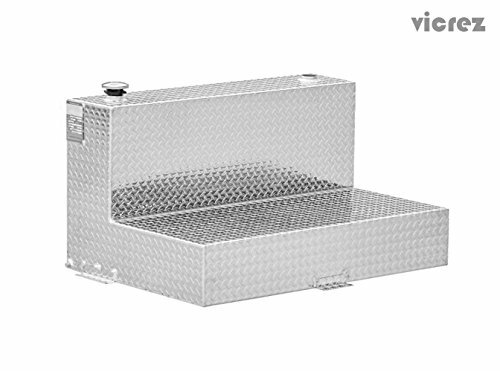 There are a few different styles to choose from when shopping for a transfer tank, some are specifically designed for higher capacity, some for the least size impact (slim rectangle tanks), and others have built-in features like lockable bed toolboxes. We will go through the different styles and compare the best options from each category, so that you can choose the one that fits your use best. The L-shape of these tanks allows for higher capacity than the slim rectangle tanks, while still allowing you to have a good amount of bed space left for other things like your bed tool box. 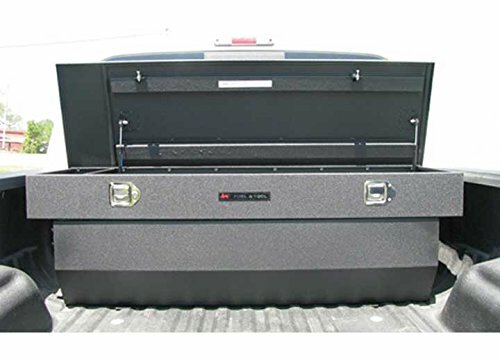 The picture above is a good example of how you can use the transfer tank in conjunction with a truck bed toolbox, if you look closely you can see the L-shaped tank is tucked up under the toolbox in this truck bed. 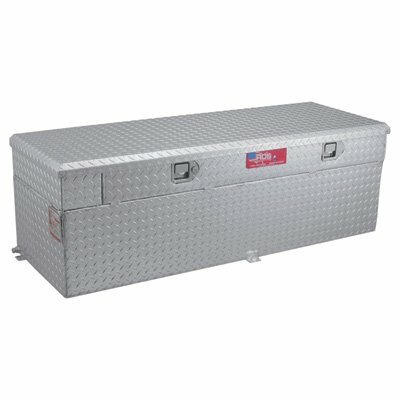 This a great option if you already own a truck bed toolbox, simply slide it in under your bed box for maximum fuel capacity and bed space. 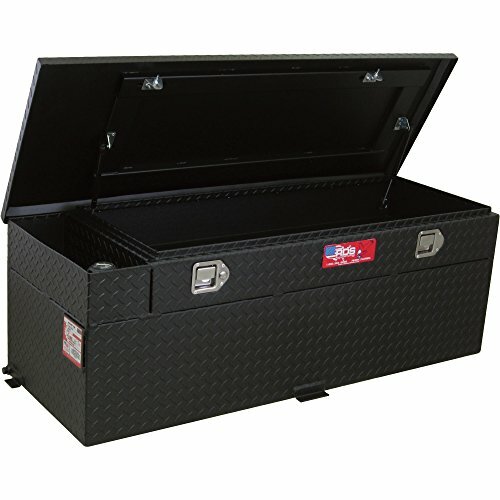 Dimensions: 26" x 33" x 48.5" x 9" x 22" x 17" x 11"
If you don’t already have a bed toolbox and you’re looking for something that can store your tools and equipment, a fuel tank and tool box combo is probably the best fit for your needs. These boxes combine the versatility of having the fuel on-hand for your equipment, and also the tools that you need to get the job done out in the field. 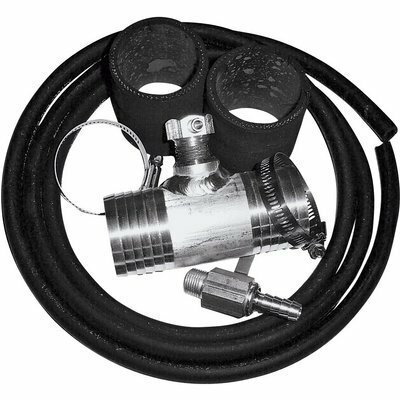 Once you have your tank, you’ll need a way to get the fuel out of it and into your equipment or vehicles. The best way to do that is with a 12v electric fuel transfer pump. 12V, DC High Flow Fill Rite Pump, 20 GPM, Heavy Duty Cast Iron, Contractor & Industry Grade, Has An Explosion Proof Motor With Permanent Magnet & Cast Bronze Rotor With Bronze Rotary Vanes, Steel Suction Pipe Telescopes From 22" To 40", Built In Check Valve & Strainer, 2" Threaded Base For Tank Mounting, Padlockable, Hose With Static Ground Wire & Thermal Overload Protection, Manual Nozzle Included, UL Listed, Suitable For Diesel/Gasoline/Kerosene/E15/BD Up To BD20, 2 Year Warranty. This product adds a great value. product is highly durable and very easy to use. This product is manufactured in China. 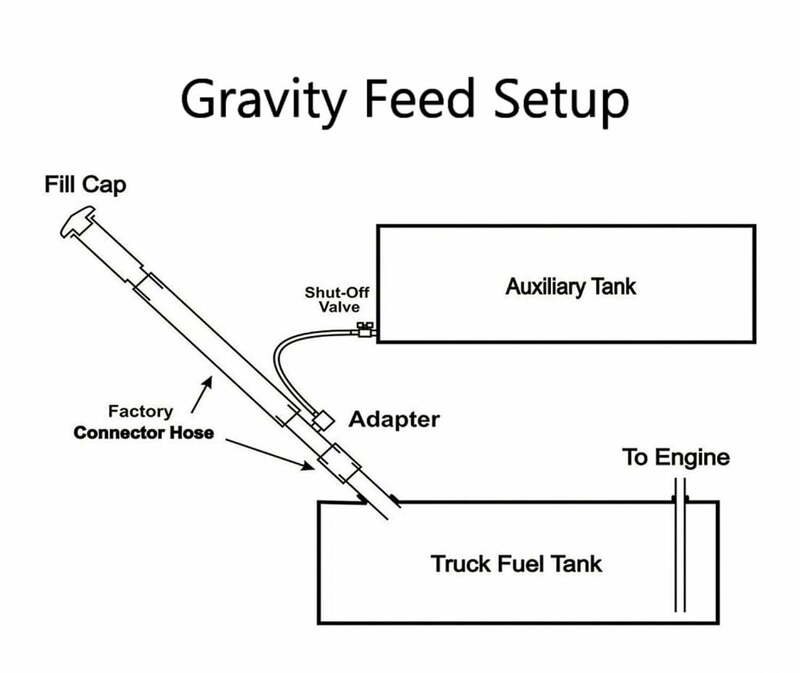 Gravity feeding is the simplest way to have your truck’s tank refilled from your in-bed auxiliary/transfer tank. Basically all you need to do in order for this to work is to tie a small refill hose from the auxiliary tank right into your main truck tank’s fuel filler hose. The easiest way to get this done is with an install kit. 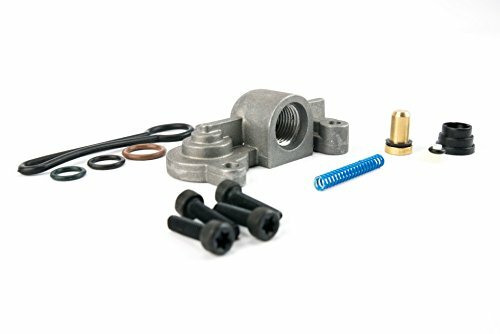 The kit comes with the fuel filler hose T fitting and a length of hose to connect to your aux tank. It also has a valve to close off the feed when not needed. 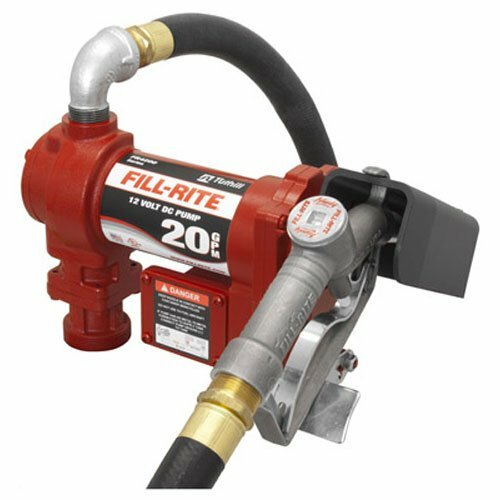 Depending on where you tie into the filler hose, you can usually leave the valve on constantly and fill your truck from your transfer tank, which will in turn automatically feed into the main fuel tank. Figuring out which material is best for your new tank goes beyond how it looks and what is costs. The biggest deciding factor will be how you intend to use the thing. Will you be the operator that is out in the field with his excavation equipment running all day? Or do you only intend to use it for smaller jobs, like refilling a backup generator that only runs during grid downtime? These differences in usage can make or break choosing aluminum over steel, or vice versa. 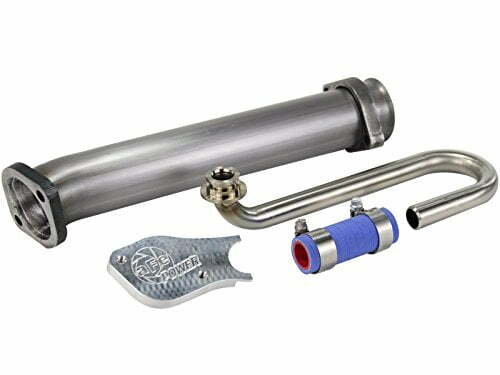 Aluminum transfer tanks use a metal that doesn’t rust. Ever. This means that the outside of your tank will always look pristine sitting in the bed of your truck. Rust is bad though, really bad, and for more reasons beyond just how the outside of the tank looks. One of the things that rusted steel does is it flakes apart into tiny little pieces. As you can imagine, tiny little flakes of rust in fuel are terrible for your equipment’s fuel system. No one wants to spend their evenings swapping out fuel filters. There are a couple different options for exterior tank styles, if you care about that sort of thing. 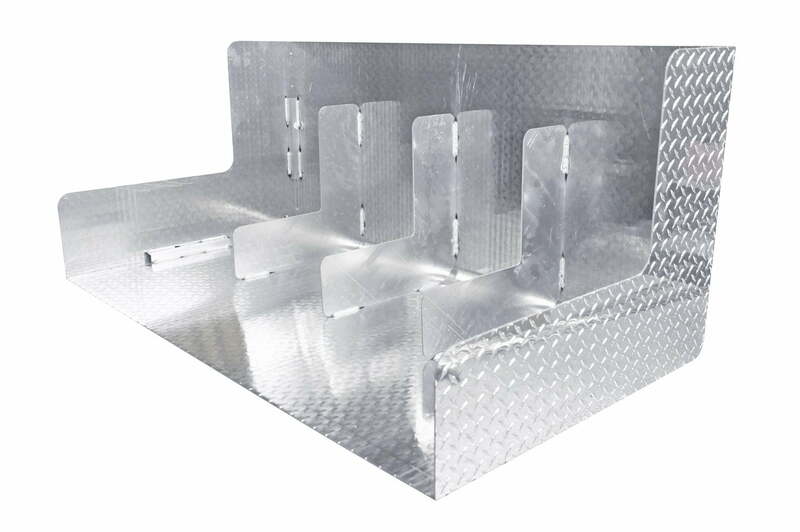 You can usually find aluminum tanks in two main styles, made from stamped sheet. Usually you can order them in the classic polished silver diamond plate pattern, or with a durable black powdercoat finish. Best part is, by choosing aluminum you never have to worry again about rust oxidation. These tanks are great for heavy duty use on a daily basis, as part of any job site operation. And as a bonus, they also keep fuels from becoming unusable during those long gaps in fill-up times. Steel transfer tanks have always looked a bit more rugged to me. They’re built out of thicker metal than aluminum tanks, often resulting in tank walls that use up to 14-gauge steel. Steel tanks need a coating for the exterior of the tank, for protection from the elements, and to prevent rust. On any good steel tank, you will find that a durable powder coating process is usually used to give the outside of the tanks a longer lasting finish. They can be had usually in black or white as standard colors. One thing to keep in mind, while the powder coat will protect the outside of the tank, the interior of a tank made from steel is bare, and needs to be at a constant higher level of fuel, you want to make sure that you have enough in there to cover the walls of the inside of your tank as much as you can, because doing that lubricates the steel and keeps it from rusting into tiny little flakes. Steel is also cheaper than aluminium, and while you might think that is a great feature, you do want to keep in mind that these work best if you’re the kind of person that would keep their auxiliary tank filled up for the majority of the time. This can’t be any more important, you want to make sure that the inside of your steel tank is always coated with fuel to keep it from rusting. This is a problem if the tank sits around idle for long periods of time with no movement, but if you drive your truck around alot, it becomes less of a concern, because driving will slosh the fuel around the tank and coat the insides. So think about how you fit into these usage categories while you look at the options below, it’s an important choice to consider when looking at any kind of fuel tank. Also to consider: some of the tanks out there will work just fine for on private property or farm use, but there are DOT regulations to consider for fuel tanks that are used for commercial operations. Baffling is another factor that is important to look for in any fuel tank, these internal structures keep the fuel from sloshing around during transportation and are a need for DOT certification. We hope this roundup has helped you to narrow down your options for adding a tank to your truck. As always, if there are any questions or comments that you have, feel free to leave them in the comments below. Thanks for reading! What could possibly be worse than the Monday morning commute to work? How about when you go to start your truck one cold January morning in preparation for your drive and all you get from the truck is endless cranking or a dull click from the starter? Of course, batteries are pushed the hardest in the winter and in our freezing conditions it was really no surprise that the fail so often in these conditions. Unfortunately, I speak from experience, as this had actually happened to me. I hadn’t driven the truck at all that weekend, so my batteries were just done with life after sitting inactive that long in the cold. I learned a couple of important lessons that day, number 1 being that jumper cables do you no good at all if no one is around to give you a jump, number 2 being that when 5 year rated lead acid batteries haven’t been replaced in 7 years, they’re pretty darn prone to fail at any point. What is the best truck battery? If you shop around in stores and online these days, you’ll find that there are more than a dozen different main battery brands. What you probably didn’t know (and neither did I) but there’s really only a few of the main manufacturers that are actually producing the batteries for all of these different brands. Johnson Controls makes Duralast (for Autozone,) EverStart, AutoCraft (Advanced Auto’s brand) as well as Diehard and Interstate. Exide is another of the big guys, they put out batteries under their own Exide brand, as well as under Orbital, Bosch and Marathon. 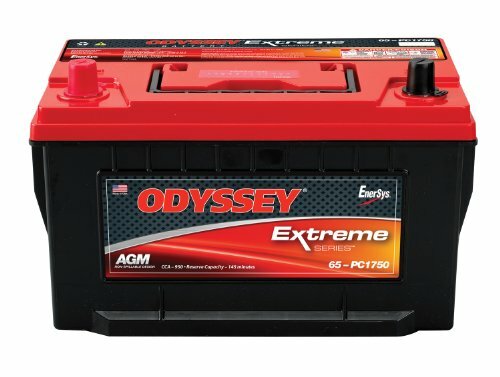 EnerSys Energy Products is the company behind the Odyssey brand batteries. East Penn Manufacturing is well known for producing the Deka brand automotive batteries. 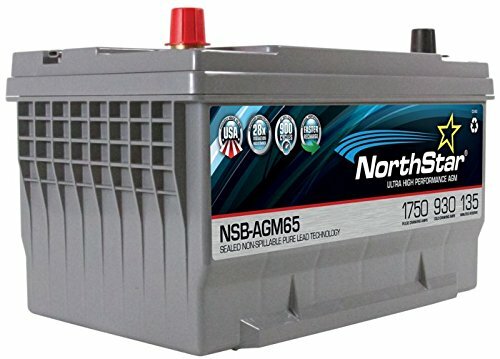 Which size batteries to buy? 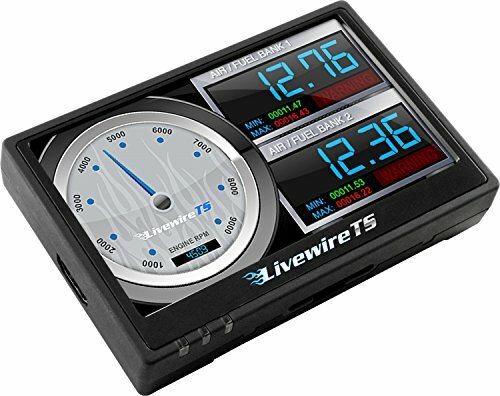 The comparisons below focus mainly on which of the group 65 batteries are the best option, as this is the size I needed for my 6.0 powerstroke. Of course, if you are in the market for a new truck battery, you would want verify that your truck uses this size group also before buying one (a lot of diesels do). Take note: If your truck uses two batteries, it is best to have a matching set, as it will extend the overall life of your truck’s electrical system. Always replace in pairs for a dual battery setup. Odyssey has been making the best batteries around for quite awhile now, and while they are definitely not the cheapest option, they are virtually unbeatable in terms of quality. This monster in particular provides 950 CCA (cold cranking amps) which would be enough power to start the most stubborn of trucks, even in extreme weather conditions. The sealed AGM (absorbed glass mat) design of the battery will hold up to almost all conditions that you can throw its way, from vibration to very cold and very hot temperatures no problem. Skip the inflation of buying a name brand, and go right to the manufacturer with these Deka batteries. These are made by East Penn Manufacturing, who have been behind the scenes of many of the most popular battery brands for decades. 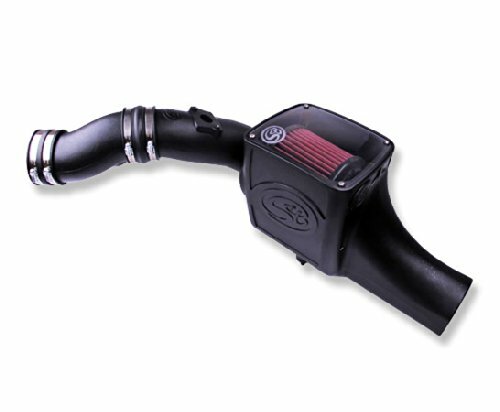 This model has the AGM technology along with 860 CCA at 32° F to start you up reliably, even in colder temperatures. The advantages of the AGM construction are vibration resistance (good for off-road) and longevity. The Deka brand in particular is an exceptionally good value because of the elimination of the middle man who slaps an auto parts or battery store brand on and marks up the final cost for no good reason – as they’re still an East Penn made battery. I first thought that because of the name, this battery would be the old lead-acid style. 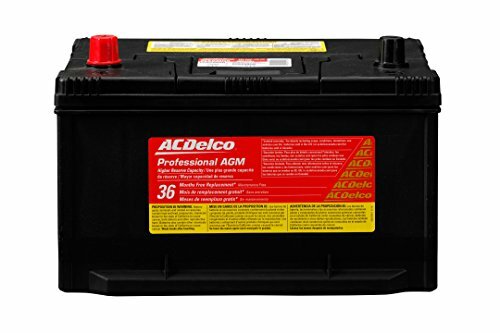 It’s actually an AGM battery, which means it has the superior glass mat inside. It’s also made in the USA, which is good to see these days. 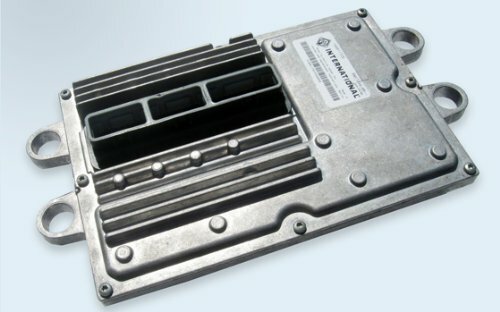 Apparently these northstar batteries are used in a lot of custom audio cars, so that’s a good indicator of massive capacity which translates well for diesels. This AC Delco has surprisingly good pricing, but also with a trusted name brand behind it and AGM technology. 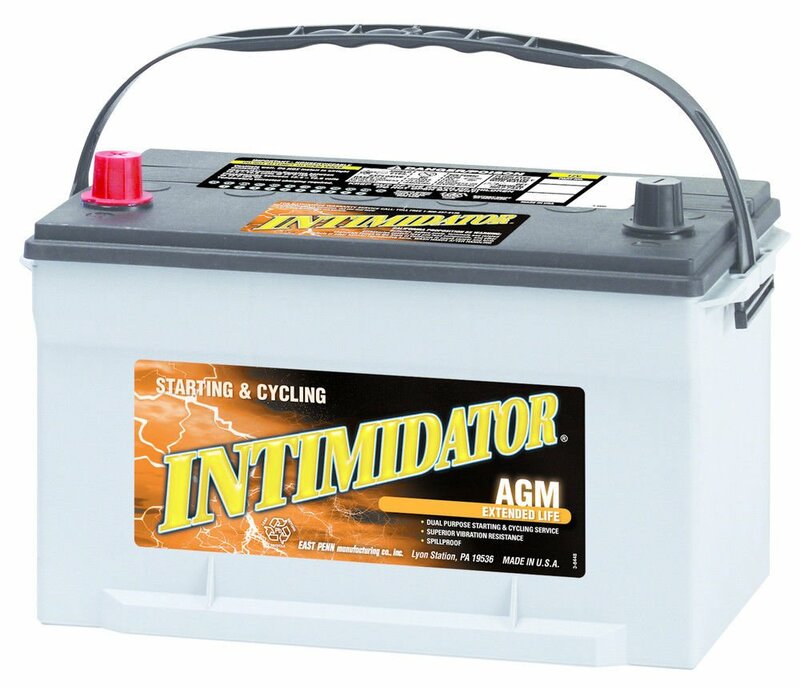 Many folks swear by this battery, it is a popular option with a lot of diesel guys. Boasting high cycling capabilities and being very charge receptive, as well as 100% leak proof, it’s a really good choice for most daily drivers. On a diesel truck, the amperage of your batteries is of even more importance than on a gas powered vehicle. When you turn your key and engage the ecm, glow plugs, ficm, fuel pump and starter, a huge draw is put onto the batteries, and they really need to be healthy for everything to work as it should. I’ve seen trucks before that sounded really healthy and fine when cranking over, but just seemed to not want to start. I later found that this was because the batteries were not supplying enough amperage for all of the ancillaries to do their jobs. With this in mind, if your truck starts having issues with starting, the first thing to test would be the batteries, if they are older than their rated lifespan. Another big thing to watch out for, especially with the 6.0 powerstroke, is bad batteries taking out your FICM (Fuel Injection Control Module). A defective FICM can easily keep your truck from running correctly, or even at all, often throwing codes for all of the injectors, which is a dead giveaway. It’s a good idea to always periodically check you batteries to make sure that they are not putting excessive load onto the charging system, which is what ends up damaging the FICM. Read more about how to trouble shoot and repair your control module in our FICM repair guide. Hopefully this guide has been informative and has given you a better idea of which batteries you need for your truck. As always, if you have any questions or concerns feel free to leave us a comment below! Thanks for reading!